The model was originally created in Cinema 4D. Animated: No; Low-poly: Yes; Materials: Yes; Rigged: No; Textured: No; UV Layout: No; 3D File Formats Included: .3ds (multi format), .c4d (cinema 4d), .fbx (multi format), .obj (multi format); Created In: cinema 4d r15; Geometry: Polygons; Poly Count: 1460. Low Poly Supermarket; Low Poly Fashion Store ; Low Poly Cinema; Low Poly Hotel; Low Poly Office; Low Poly Burger Cafe; Low Poly Cocktail Cafe. 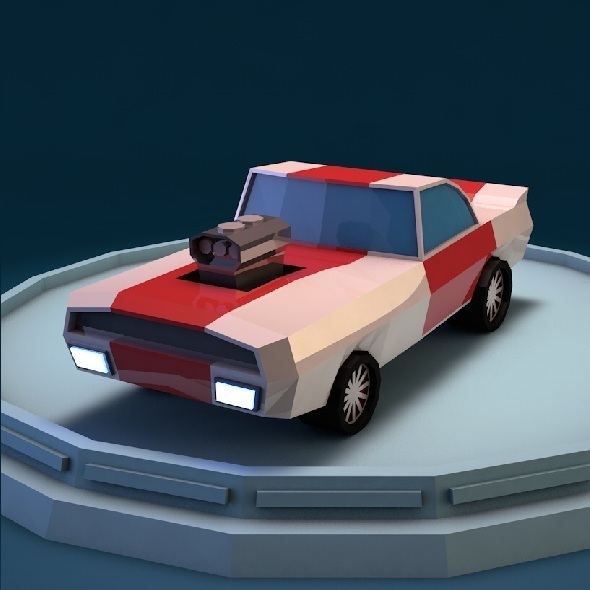 Keywords: car, cartoon, design, low poly, low-poly, mini, motion, motor, muscle, polygonal, race, speed, sports, tuning.